Board short style 307 Jail House Rock made for women by female fighters, this is the newest MMA fight short by Fighter Girls. Similar to our style 302 with a slightly shorter leg, higher rise, wider leg & baggier fit. This is your GO TO board short for comfort and mobility. Constructed with sturdiest stretch microfiber, and sewn to with stand even the toughest punishment you can dish. We guarantee the Jail House Rock will with*stand when your putting in time. Great over your favorite leggings or on their own, you will be sure to turn heads rocking these bad girls. Please size down if your looking for a tighter fit as these run a tad larger and baggier then our usual sizing. 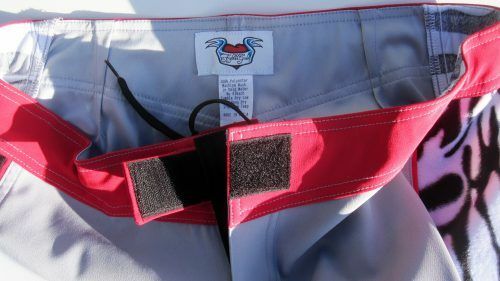 I wore these swimming shorts all week at Lake Powell–swimming, hiking, climbing, scooting, jumping. The fabric is lightweight, but durable. The shorts stay put. The fit is excellent. These are not compression shorts. Shopping for the best female shorts can be tough especially when you want to buy shorts on the Internet because you cannot really see and feel the quality of the short or better yet you do not get to try them on until you have already made the purchase! I know this because I love to shop and trust me buying from a picture sometimes can be scary because it may not be what the description says! First know what you want to use your short for maybe its for body combat, MMA, grappling, swim, or all the fun stuff that us women love to do! Read reviews about the short but not just from the site you are planning on purchasing through but also do a Google search on the brand! Ask people you train with that are wearing the brand you are interested in. Fighter girls dares you to compare our female shorts to the other brands on the market! 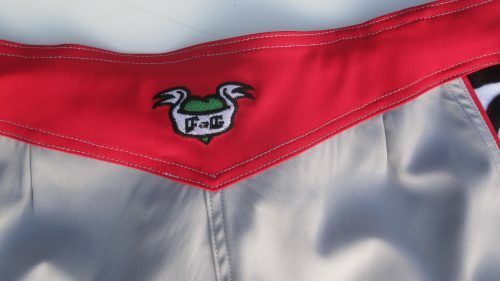 We produce our shorts here in the USA for quality and that perfect fit! Fighter girls works hand in hand with our production to make sure that they are perfect and we could not do this if we manufactured in other countries! Fighter girls is a company not based on profit we want people to be happy and love the Fighter girls clothing brand! Fight like a girl at the Fighter girls store!